Permanent Price Drop on All High Dosage Products! In our efforts to best serve the wellness goals of our customers we’ve been asking for your feedback about your CBD experiences. You’ve spoken, and we’ve listened! Which is why we’re excited to announce a permanent price reduction. 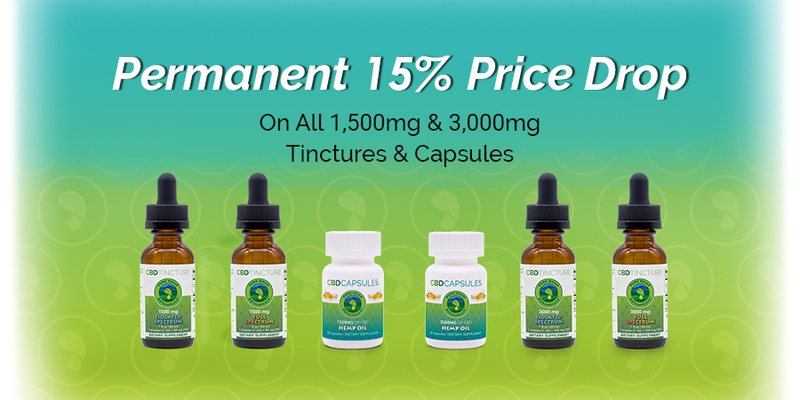 From here on out the price of all high dosage products, including 1,500mg-3,000mg capsules and tinctures for you and your large pets, will permanently be discounted by 15%. This also includes all current and future subscriptions which have always been a 25% savings from full retail pricing. Our goal is for health and wellness to be within everyone’s reach, regardless of their income. Which high dosage product is right for you? Our capsules are a classic product that has withstood the test of time. They are an easy to travel with, tasteless and simple way to quickly take your daily CBD. They come in both 1,500mg and 3,000mg dosages for all of our high dosage customer needs. As with all of our products they vegan, organic and cruelty free. 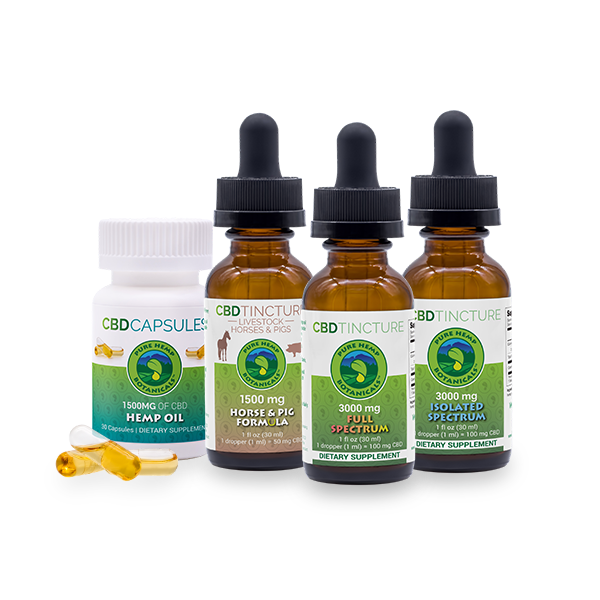 Our tinctures come in a variety of dosages with both Full and Isolated spectrums. They can be used in several different ways depending on your personal preferences or what you’re using it for. It works topically, sublingually, in your favorite food or simply by ingesting it! The dosages range from 300mg to 3,000mg and come in both human and pet options. As with all of our products it is 100% hemp derived using hemp oil as a carrier oil for your CBD. We make these products for our loved ones, and you can feel it in the quality of every item. Each and every batch gets tested for purity, potency and safety in a 3rd party lab as well as our in-house lab. This ensures that each item contains less than 0.3% THC, the legal limit, so you can rest assured that our products are safe and non-psychoactive. Pure Hemp Botanicals prides itself on producing the highest quality innovative hemp products available. Each product produced by Pure Hemp Botanicals is put through a rigorous testing process ensuring pristine quality of our end product. *We are not making any claims about drug tests, medical treatments, curing disease, or any other claims. Please consult your healthcare professional and empower yourself with your own research when making significant changes to your wellness routine.